Hi everyone, I hope you all had a great weekend! As I type this I am currently stuck in NYC from the huge blizzard (Jonas) that hit here on Saturday. I was here for several work meetings and then had a fun girls weekend planned with my sisters and mom. My airline notified my Friday morning that my Sunday flight was canceled and so I re-booked for two different flights Sunday evening and those to was cancelled. I now have two flights booked for Monday hoping I make it out of here to get home to Michael and Sutton. Being stuck here in the blizzard (aside from missing my babies) has been sorta fun. We are staying at a fun place on Soho, called Nomo Soho and being snowed in with your sisters and mom can make for some fun memories, especially when we don’t get to do girl trips often. I will be doing a recap of our trip later this week. Onto my look. I wore this out a couple weekend ago for a night out with several of our couple friends. 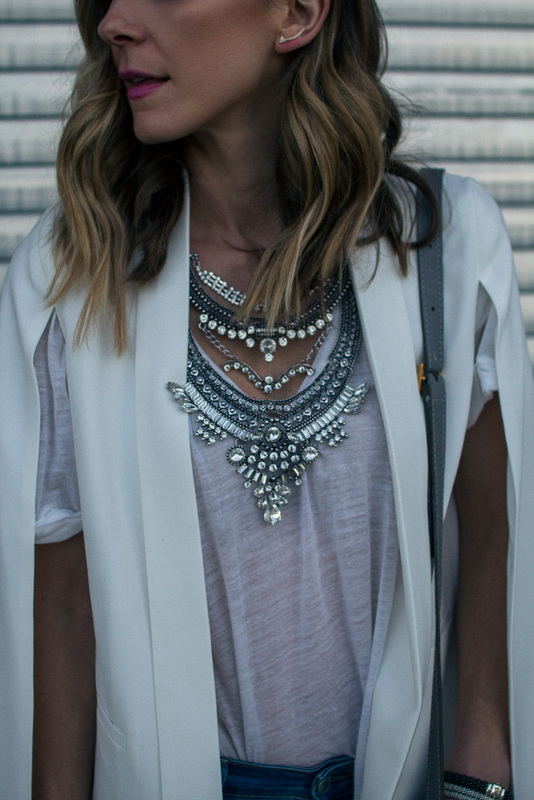 I adore this cape blazer. 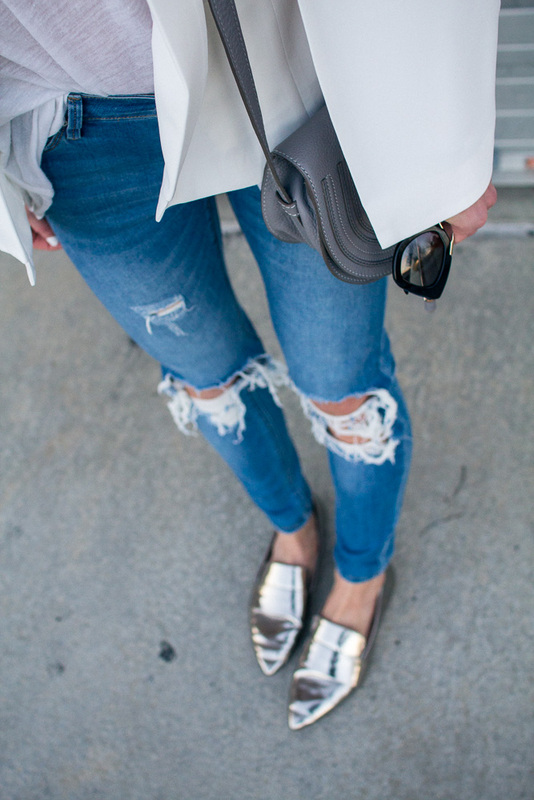 It is so chic and a great twist on your normal blazer. It can easily be dressed up or down. 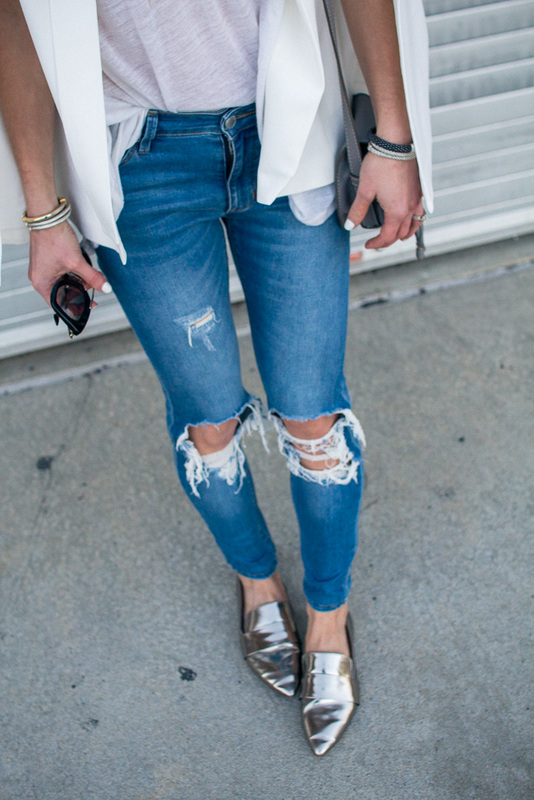 I paired with a pretty statement necklace, skinny ripped jeans and metallic loafers. I also wore the blazer out in NYC with my faux leather leggings and OTK boots. 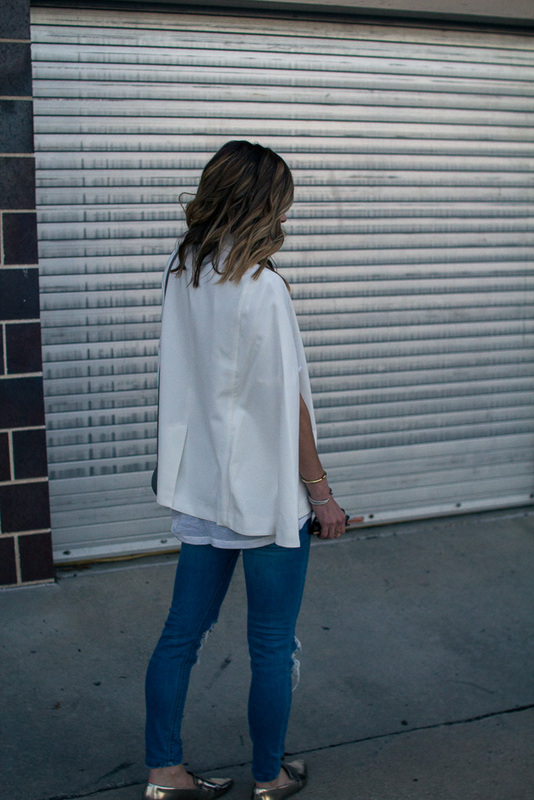 What do you think of the cape blazer? 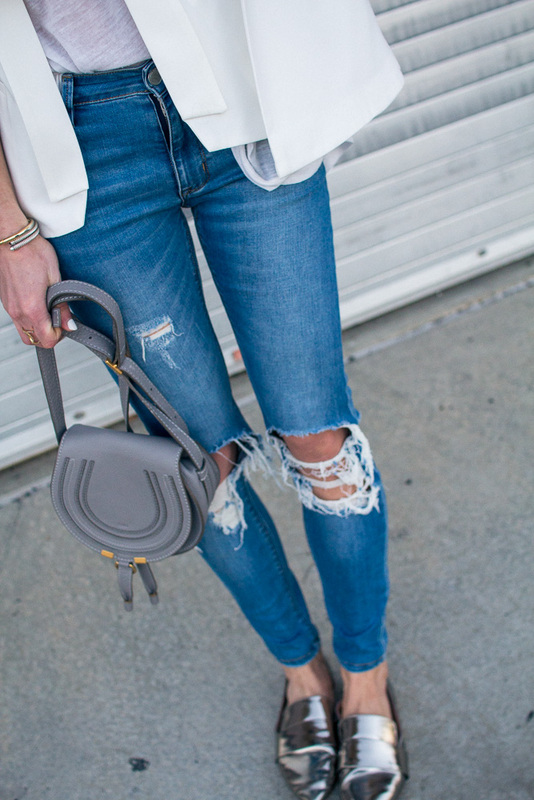 That cape blazer is pure perfection! Fabulous style of blazer. Cape style is now in trend whether it is western wear or ethnic wear. You can also try this beautiful cape blazer on adorable printed kurtis. Thanks for sharing. "It's really great that people are sharing this information."